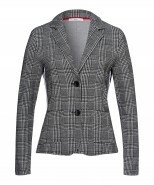 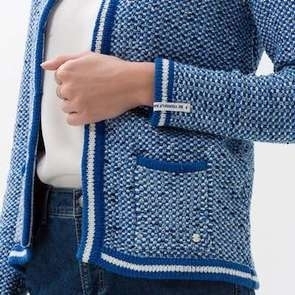 Women's checked blazer by Brax Feel Good, style Bessy. 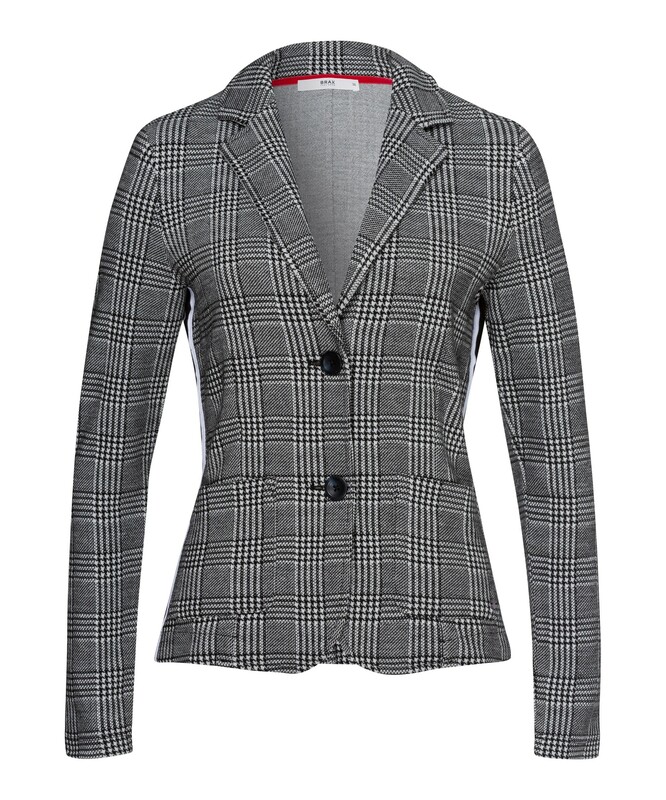 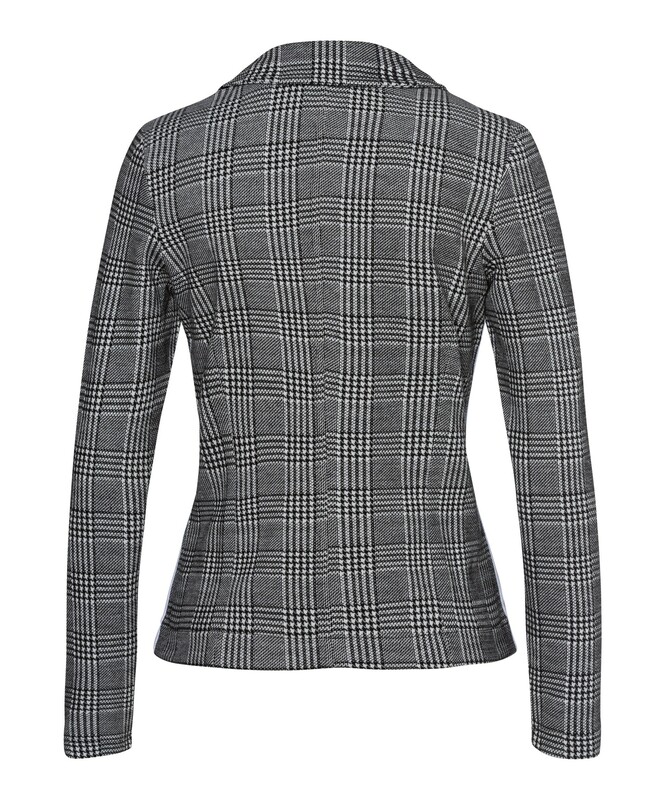 An elegant yet sporty and contemporary blazer in a black and white check with striped side panelling. 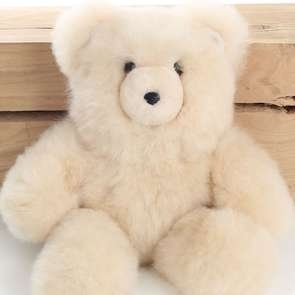 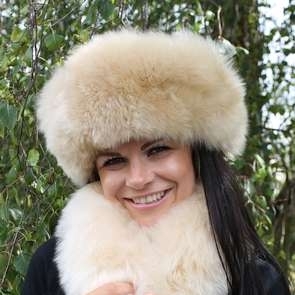 Perfect for transitional wear, it's the ideal extra layer. 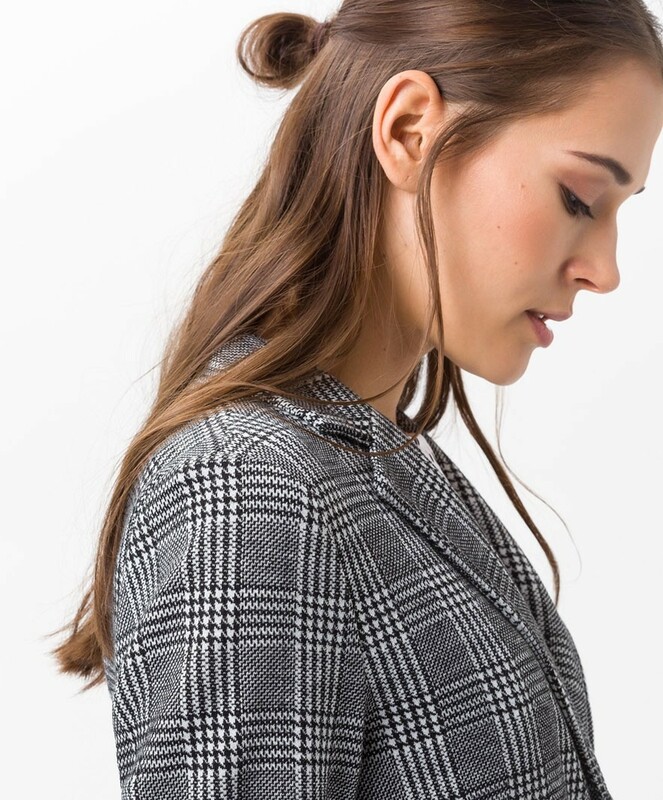 Cut to measure and carefully placed darts give you the most flattering shape and a tailored fit but still has stretch to allow comfort and movement. 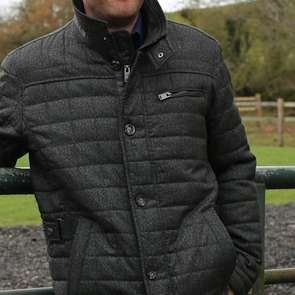 fatures 2 button fastening, 2 pockets and a discreet logo.